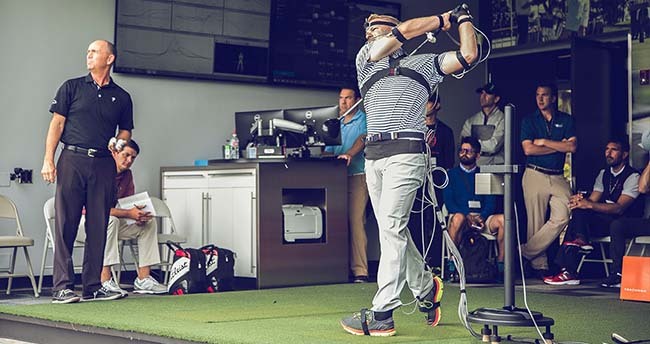 Titleist Performance Institute | Dr, Keven Hagen | TPI | Go Golf U.S. Restrictions: Valid ANYTIME. Must call for an appointment. Dr. Keven Hagen – Medical TPI (Titleist Performance Institute) has agreed to join Go Golf U.S. this season. The first assignment will evaluate a players physical readiness using TPI’s physical assessment screen. Using specific movement assessment screens we will pinpoint the exact cause of a players musculoskeletal dysfunction and restore proper motor control. Our users will receive $25 off the assessment and have the ability to go back an additional 3 times! Dr. Keven is Titleist Performance Institute (TPI) Certified in the Greater Rochester area. He earned his bachelors in Health and Human Physiology from the University of Iowa. He spent a year as a personal trainer prior to attending New York Chiropractic College. During his time at NYCC, he was nominated Class Vice President and student Liaison of the Rochester Health Clinic, and he earned an advanced certificate in Sport Science and Human Performance. He participated in rotations at the Bath VA Medical Center, Monroe Community Hospital, local college student clinics as well as several marathons. Outside of the classroom, he voluntarily extended his education by taking seminars which aimed at assisting athletes in recovery and performance. Dr. Keven is certified through Titleist Performance Institute, RockTape Kinesology Taping, and Fascial Distortion Model. His focus is on functional movement, sport-specific performance, preventative care, rehabilitation and bio-mechanics of golf, hockey, soccer, lacrosse and running. He understands that everyone is different and there is no “one cure all” form of treatment. Dr. Keven provides a unique opportunity of treatment to everyone, not just athletes, in the region.